100% natural aid to eliminating mites and lice. 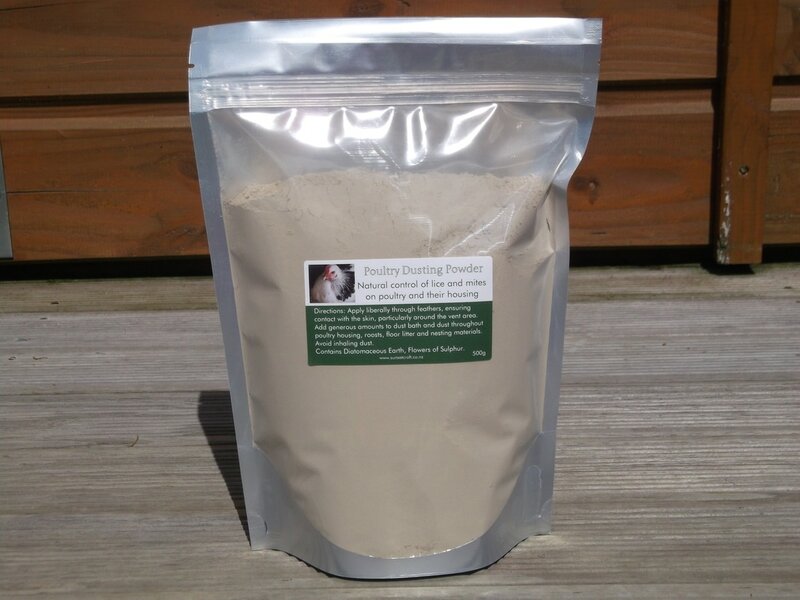 Poultry Dusting Powder is a safe and natural powder blend, effective in the control of external parasites on poultry and their housing. 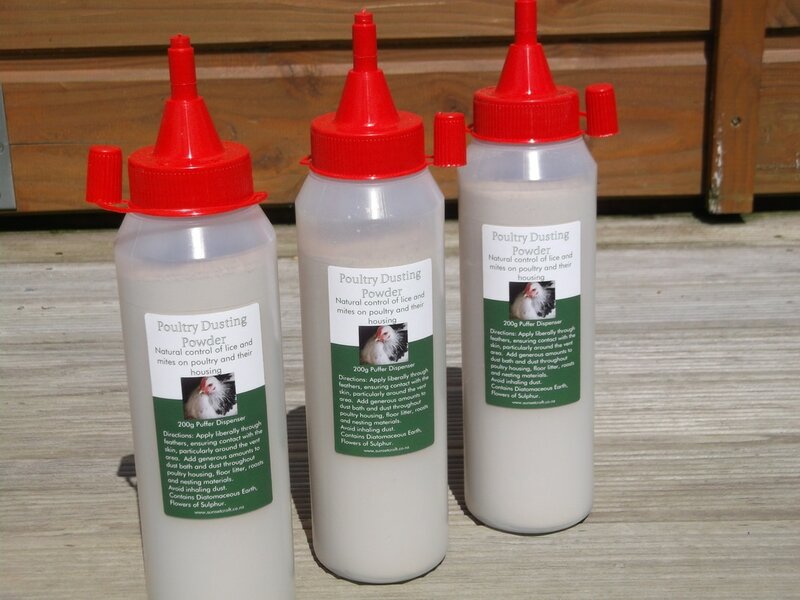 Poultry Dusting Powder can be applied directly to birds, added generously to the dust bath and puffed around the hen house for long lasting, residual control of mites and lice. We recommend using Dusting Powder following treatment of poultry housing with Poultry Safeguard. There is no one-off remedy for getting rid of mites and treatment must be repeated and ongoing. Our Dusting Powder is available in a 500g resealable pouch and a handy puffer dispenser.